I hadn’t heard of Marufuku Japanese Restaurant until my brother suggested it for one family dinner. I quickly looked it up on the Internet and came upon some favorable reviews. The consensus was that it was pricey, but the food was worth it. So, I was quite excited to try it out. The restaurant is tucked away in the side streets around University of Asia and the Pacific. We weren’t sure how parking there would be so we decided to walk there from SM Megamall. It was a pleasant walk, about a little less than a kilometer each way. It is a small restaurant with an open kitchen. The tables are placed very closely together, with very little space between them for people to pass. It was also quite noisy, making it difficult to carry on a conversation with someone across your table. 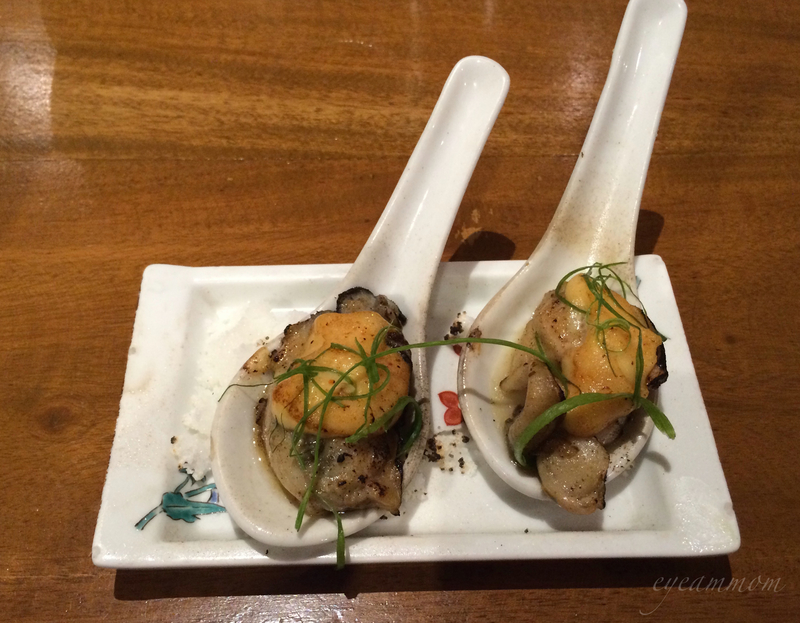 Almost all the reviews I read made special mention of the Kaki Motoyaki, lightly grilled Hiroshima oysters with mayonnaise and miso-based sauce, served on Chinese spoons on a bed of salt. So I made sure we ordered that. We also ordered the Ebi Tempura, Chicken Teriyaki and Katsu Jyu. The Kaki Motoyaki deserves all the praises it’s been receiving. It is truly delicious! The oysters were plump and juicy and the flavors come together very nicely. The dish is quite expensive, though, like most of the items on the menu. 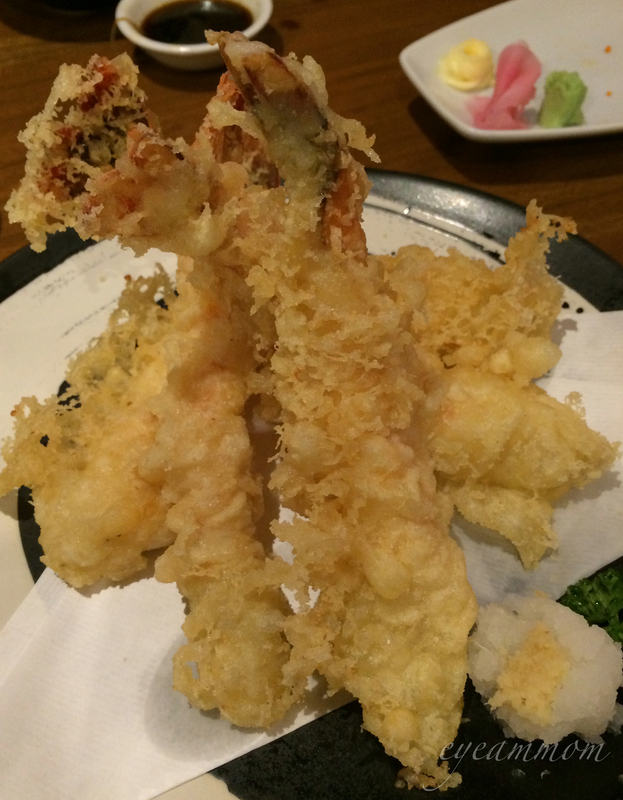 The Ebi Tempura has been described as being “huge” in some reviews. I thought it was just like the Ebi Tempura in other Japanese restaurants. Yes, it was crispy alright, but it didn’t look or taste any different from others we’ve had. 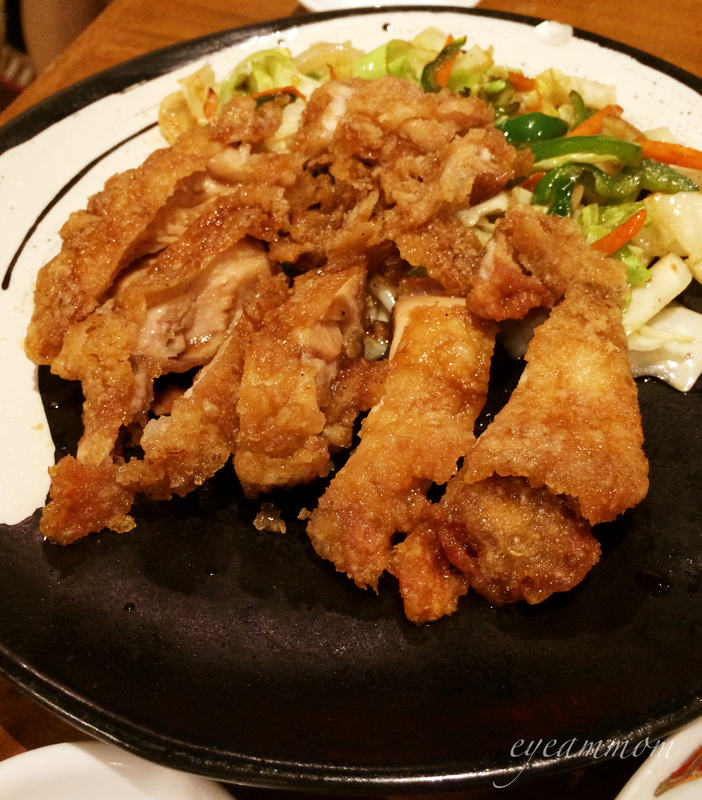 The Chicken Teriyaki was good – crispy, not too sweet. This dish was okay for me. Good, but nothing great. The same goes for the Mixed Rice. The Katsu Jyu was okay too, but not as good as in other restaurants that serve Katsu. Service was poor. Our server was not friendly and she was not knowledgeable about the items on their menu. The food took a very long time to be served. High price for so-so food, poor service, noisy place – I don’t think we’ll be back here on our own. The oysters weren’t enough to save the night. This entry was posted in Food, Life in the Metro and tagged Japanese restaurant, Kaki Motoyaki, Marufuku Japanese Restaurant, Ortigas Center. Bookmark the permalink.